The job market for cannabis-related positions in Canada is on the rise. A quick search on job site Indeed.com returned over 1,400 cannabis-related current job postings. With such close proximity to the U.S. and a growing number of cannabis business events and conferences happening south of the border, the cross-border policy is naturally a cause for concern. As Canada inches closer to marijuana legalization, its cannabis industry – projected to reach over a billion dollars in Canada alone by the end of this year – is continuing to expand, not just throughout the country but also across international borders. 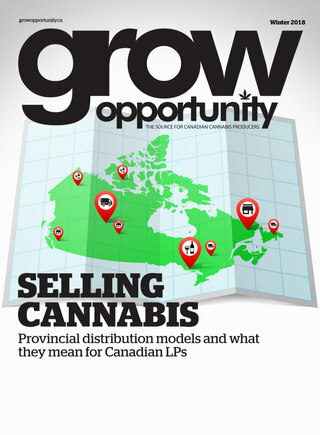 Expansion projects at licensed cannabis production facilities are either underway or commencing, all to meet the expected demand for cannabis products when legalization officially takes effect on Oct. 17. Export and partnership deals are being forged by Canadian companies with organizations in other countries – including the U.S. – that have legalized cannabis use at varying degrees. The growth of this industry in Canada is happening at lightning speed and it's easy to forget that almost everything that's transpiring is unprecedented. Canada is leading the way in this new world paradigm and other markets are closely behind. No other developed country in the world has been where we are right now. Although more than half of U.S. states have legalized marijuana – recreationally or for medical use – the substance remains prohibited under federal laws, which govern border crossings. It's why Canada's journey to end prohibition and move toward legalization has global significance. The world is watching and learning. Our regulations will evolve and be perfected, and the cannabis industry will also evolve and perfect itself. October 17th is not the endgame; it's the starting line. Whatever we do from that day forward will define the Canadian cannabis industry. Canada has the opportunity to show the rest of the world the way forward, and provide a path to end prohibition. The U.S. no entry policy for travellers with ties to the cannabis industry seems petty in the face of a massively burgeoning legitimate industry this part of the border. Unfortunately, that's the current reality. It is bound to change – when and where will depend on how effectively Canada can demonstrate to the world we are on the right side of history.